For its over 60,000 fans this journal has become a handbook that has inspired and challenged. A reluctant seeker, St. George (the St. stands for SenT, ServanT and SainT-to-be) meets a spiritual master, a dragon with glowing wounds named Igor, who directs George to begin a great adventure. The engaging dragon and his wise parables are a sure guide for those who wish a spiritual adventure but can travel no further than their backyardmost of George's quest took place in the back of his garage. In the pages of this book of twenty-two parables within a single parable, master storyteller Edward Hays opens the doors of the mind's magic theater and provides a collection of mystic maps to set you on the path to the most fabulous of all hidden treasures. Translated into several languages, this volume has inspired and become beloved by men and women of various faiths and even those of no faith. 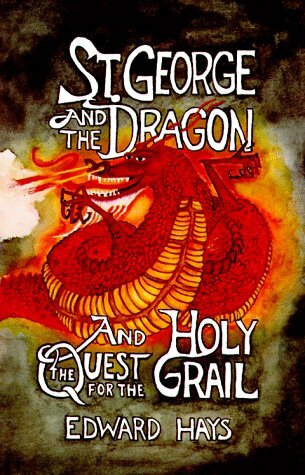 The dragon's parables will guide you, as they lead George, on the spiritual quest as ancient and universal as the search for the Holy Grail.This book is part of a trilogy of tales about St. GeorgeSt. George and the Dragon, The Magic Lantern and The Quest for the Flaming Pearl. They are each intended, however, to stand on their own and can be read in any direction, starting with the first, the last or in the middle. Such is the mystery of a magical text!